Earvin “Magic” Johnson is one of the best known and most beloved sports figures in the world today. Johnson played point guard for the Los Angeles Lakers for 13 years after being selected as the first overall pick in the 1979 NBA Draft. During his career Magic racked up 3 NBA MVP Awards, 9 NBA Final appearances, 12 NBA All-Star games and 10 All-NBA Team nominations. He has been honored as one of the ‘50 Greatest Players in NBA History’ and enshrined in the Basketball Hall of Fame since 2002. That would be a full life’s work for most of us… but not for Magic Johnson. Since his retirement from the NBA in 1992, Johnson has become an entrepreneur, a philanthropist, a sports broadcaster and has even found some work as a motivational speaker. 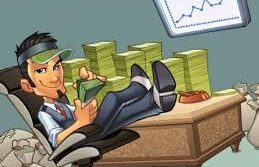 Unlike some other great players who came before him and ran through their money soon after retirement from sports, Magic Johnson became a business man and began to make money rather that lose it. 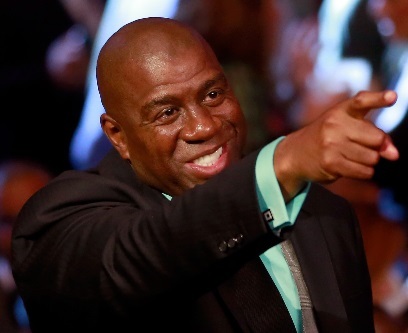 And Magic is putting his monetary investments right back where he made them in the first place in sports. Johnson received some early good advice from Michael Ovitz, the CEO of Creative Artists Agency, who advised him to study business magazines and to use every connection he made to further himself in the world of business. He was a part owner of the Los Angeles Lakers for awhile, most likely inspired by his close relationship with recently departed Lakers owner Jerry Buss. But Johnson sold out his interest in the Lakers in 2010 and formed ‘Magic Johnson Enterprises which has now racked up a net worth of over $700 Million. Johnson joined up with Stan Kasten, Paul Guber and the Guggenheim Partners in 2012 to purchase the Los Angeles Dodgers baseball team for a record price of over $2 Billion. The Dodgers had a great season last year and seem to have the deep pockets required these days to field a team with any hopes of winning a pennant. Now Magic Johnson had gotten together with the Guggenheim Group once again and purchased the Los Angeles Sparks of the Women’s National Basketball Association, the WNBA. The Sparks have been one of the winningest teams in the WNBA for the past few seasons and have also led the league in attendance for the past two years. However, they have not enjoyed financial success so far. Perhaps a little touch of ‘Magic’ is all that has been lacking in the formula for the Sparks.